When it comes to maximizing space the Apple a Day commercial playground structure does a phenomenal job accommodating up to 30 children in the 5 to 12 age range with its 7 play activities. The triangle transfer station also makes this structure ADA accessible for inclusive play! 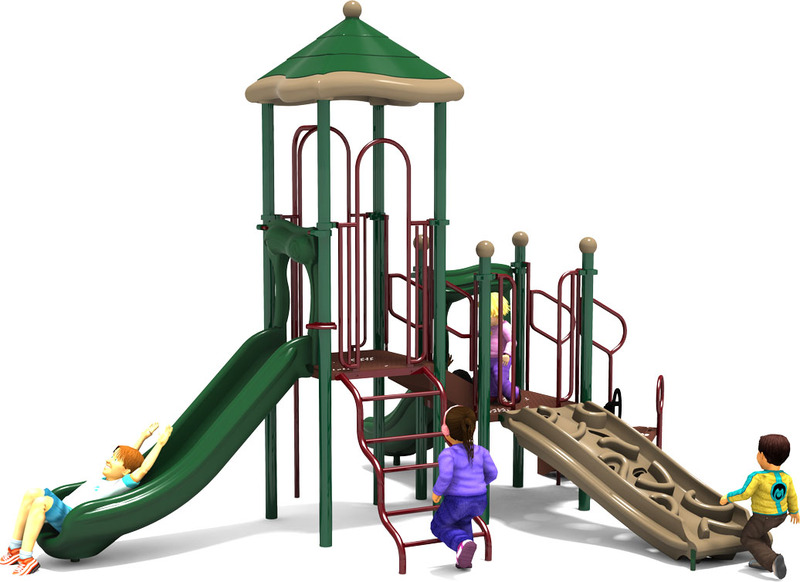 A determining factor for the quality of a playground stems from the amount variety of play styles it offers its users. This structure, even with its limited use zone, offers several unique opportunities for fun and excitement. 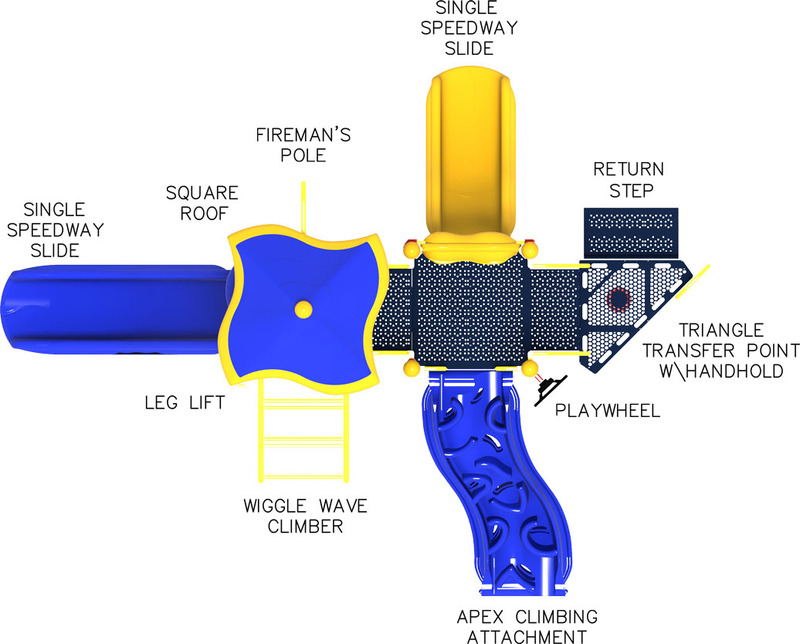 The two slides are always sure fire way to get a quick thrill, and the Fireman's Pole is no different. But parents and teachers know that fun is only one byproduct of time spent on a playground. Physical fitness can be encouraged too. 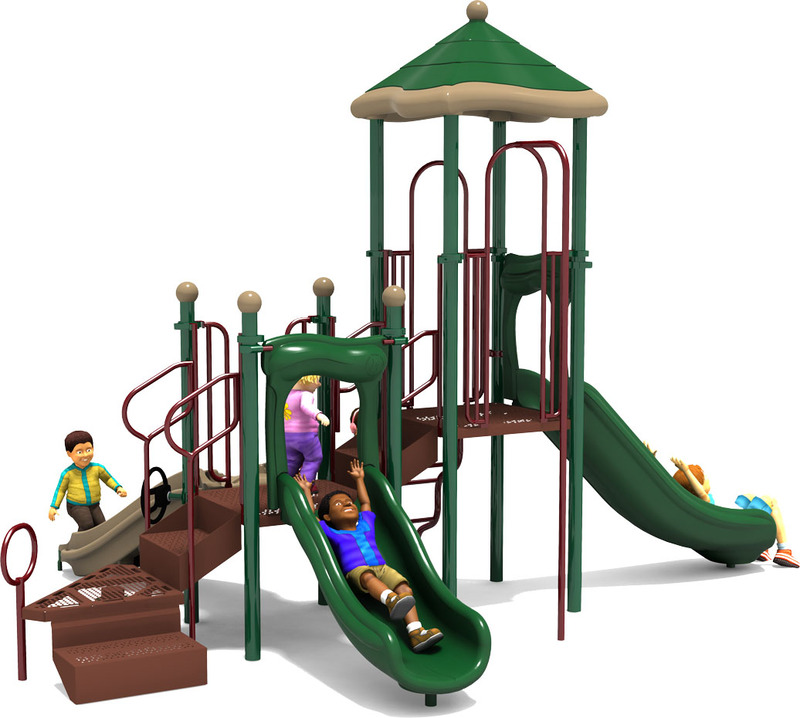 And when kids interact with the Apex Climbing Attachment, Wiggle Wave Climber, or Leg Lift they'll think they're just enjoying their ascension to the play decks to gain access to the slides, but they'll be exercising and developing muscle groups that they may not work out during the regular course of their day. It's also imperative to inspire children's imaginations, and free play during time at a park or a playground provides the ideal opportunity to develop their creativity. That is one thing the Playwheel was designed to do for this play structure. Aluminum posts, hardware, clamps, and post caps are backed by lifetime limited warranty. Metal pipes, rungs, loops, are backed by a 50 year limited warranty. 15 year limited warranty on punched steel decks, HDPE panels, and roto-molded plastic components. Meets or exceeds all ASTM and CPSC safety standards. 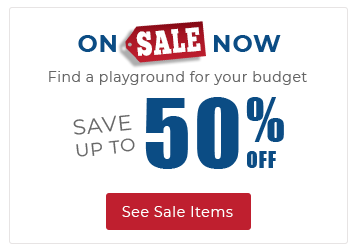 At American Parks Company we know that a commercial playground structure is an investment toward creating meaningful, healthy play outdoors for children and families. 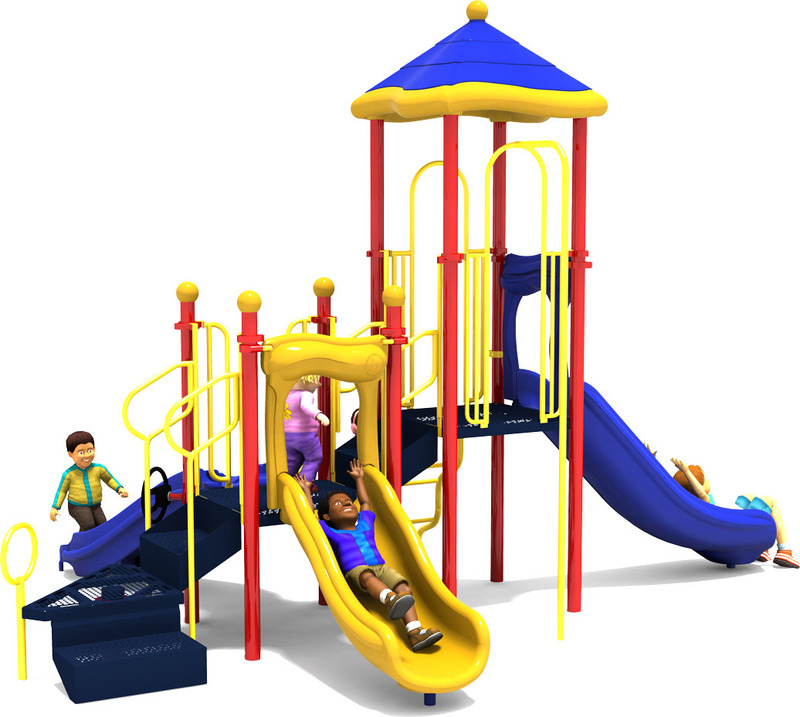 That is why we offer more than thirty years experience building playgrounds for organizations coast to coast. 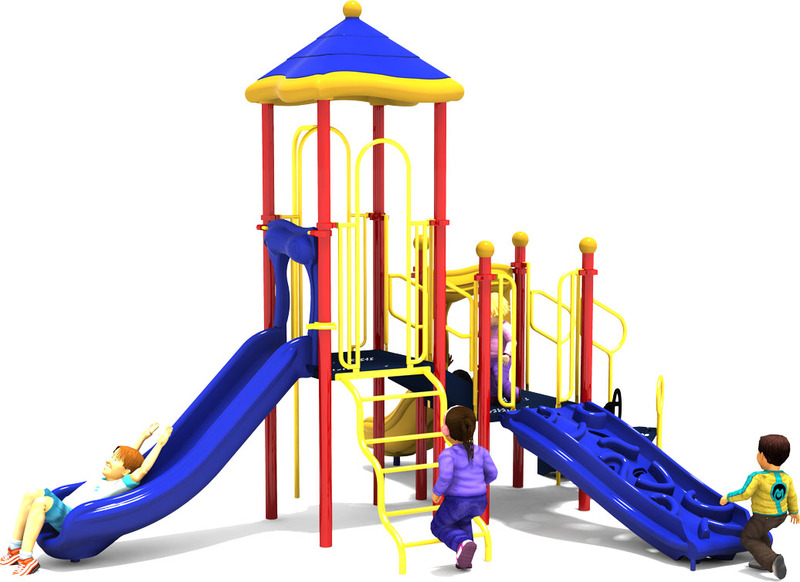 We build value and long term satisfaction into every playground we help design. For more information call us: 1-800-381-4491. 2 Slides, 2 Climbers, 1 Fireman's Pole, And More!